Renowned celebrity hair stylist, Ted Gibson and the quintessential luxury medical spa destination, Hela Spa are joining forces to create the ultimate experience in beauty with the opening of Hela Spa’s flagship location at The Collection at Chevy Chase, Washington, D.C.’s preeminent retail destination. (Image of Ted Gibson – BravoTV – Better Half – BravoTV – All Rights Reserved). Located just ten minutes from downtown Washington, D.C., Hela Spa, is nestled between luxury boutiques like Gucci and Ralph Lauren. Dedicated to delivering the best experience in medical aesthetics, Hela Spa brings an approach that is resolutely people-centric and always puts the clients’ interests first. 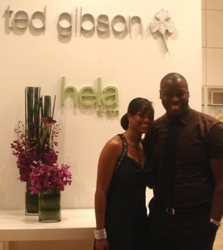 Hela, which in Swedish means “to make whole”, is offering a complete luxury beauty experience from head to toe, with the addition of Ted Gibson’s premiere hair salon and Ted Gibson Haircare products. Behind this modern and discreet beauty haven is the influential and gifted HAIRSTYLIST TO THE STARS, Ted Gibson, whose work can be seen on the runways of Prada, Chanel and Dolce and Gabana, as well as on the most recognized faces in the world such as Angelina Jolie, Renee Zellweger, Demi Moore, Gabrielle Union, and Joy Bryant, to name a few. The Ted Gibson Salon is a five-star experience in a space designed to offer an escape from the “hustle and bustle” of city life leaving clients, relaxed, refreshed and rejuvenated. “Our goal in this partnership was to find someone who was not only the best at hair styling and developing a fabulous brand, but also a person who was a super human being and fun to work with.” says Helle Jeppsson, Hela Spa owner. Hela Spa and Ted Gibson have partnered with the leaders in both skin and haircare, offering products from TED GIBSON BEAUTY, L’Oréal Professionnel, the premier line of hair care products and SkinCeuticals, the leaders in medical professional skincare. L’Oréal Professionnel, the number one professional brand worldwide, will be partnering with the salon to create a hair color center, opening later this year. Committed to providing quality products backed by science, SkinCeuticals will be the Spa’s marquis skincare brand, complete with its own “shop in shop” area and signature spa treatments. “As for the brands we wanted to include, L’Oreal Professional hardly needs any explanation – it just IS the best brand – and SkinCeuticals is the only choice because its scientifically backed products simply deliver results. We could not be happier with the partnerships we’ve been able to bring together, and we’re all looking forward to building something very special together”, adds Jeppsson. “I’m thrilled to launch my second flagship salon in the heart of DC’s luxury mecca. We could not be happier to partner with L’Oréal Professionnel and SkinCeuticals, brands, which I hold to the highest esteem. We are all looking forward to building something very special together”, says Ted Gibson. A minimalist space for men and women to escape the rush of city life, Ted Gibson Salon leaves its guests feel refreshed, relaxed and rejuvenated with its chic, yet unpretentious vibe. Behind this modern and discreet beauty haven is the influence of Ted Gibson, whose work can be seen on A-list celebrities and on the runways across the world. 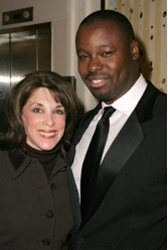 Ted Gibson Salon’s flagship locations are in New York City and Chevy Chase, Maryland. This entry was posted on Friday, January 16th, 2009 at 8:32 pm	and is filed under Celebrity Hairstyles, Hair, Hollywood & Mane. You can follow any responses to this entry through the RSS 2.0 feed. Both comments and pings are currently closed.